The self-guided tour is an innovative and different way to discover the island of Prangli! A virtual guide that works on Google Maps provides an overview of the main sights on Prangli island. It is a perfect tool which helps you to discover the island on your own. Both the virtual guide and its descriptive photos give directions on how to get to the sights. Clicking on a specific sight will reveal further information, legends and stories. Prangli island’s virtual guide is a wonderful tool to see and experience the island at your own speed whilst allowing you to be your own tour guide. To use the virtual guide you need to have access to the Internet and GPS-connected device (such as a smartphone or tablet). ©Prangli Travel. Ferry named Wrangö takes you to Prangli island. How does the virtual tour guide look like? You can read about everything in English! ©H. Timusk. Come to Prangli island by your own boat. ©Prangli Travel. At Prangli island port you can rent bikes. Prangli Travel hippie car greeting you at the port. ©J.Efrati. Unique island architecture on Prangli. ©M. Laidvee. Sleds on a roof. H. Hirvesoo. Self-guided tour takes you through authentic fishing villages. Stone fences on the island. Prangli Reisid. Goats saying hello! ©J. Efrati. Prangli island church with rich history. ©RusNatureGuide. Relax and enjoy yourself on Prangli Island Day Trip. H. Hirvesoo. Beautiful views on a beautiful Estonian island. What is this in the middle of the forest? ©RusNatureGuide. Source of natural gas. Slide down the rock. What will happen? Pine forest on Prangli Island. Juniper can be found on Prangli island. After submitting your order you will receive and e-mail with information and guidelines about using the app and seeing the sights. The price includes a set of sights of Prangli island on Google Maps. The virtual tour guide can be used in 3 months from the date of purchase. Tansport by sea Leppneeme harbour – Kelnase harbour – Leppneeme harbour. Bike rental in Prangli Travel’s Information Centre in Kelnase harbour: 10 euros from 10.00am to 5.00pm, 24 hours 12 euros, one hour 3 euros (for min. of 2 hours). Transport from Tallinn to Leppneeme harbour and back. Which extra services do you wish to order? I am aware that the virtual tour guide belongs to Prangli Travel. Sharing, selling and using the virtual tour guide without the permission of the owner is strictly prohibited. Prangli island is quite small (around 130 inhabitants living in 3 small villages), but it makes the island charming. 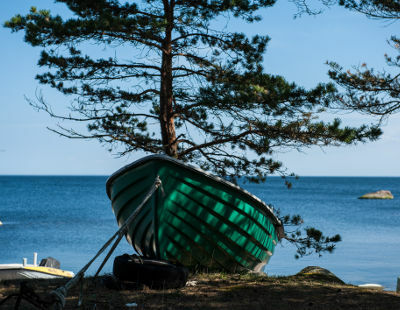 It’s a great place to spend one or two days: hiking around the island and along beaches, swim in the Baltic Sea (water is maybe colder than in Tallinn, Haapsalu or Parnu, but is much cleaner! ), rest in almost deserted beaches (sandy or covered with stones and boulders). We organize regular daytrips to Prangli Island from April to September. All-inclusive tours include transfers, ferry-tickets, tour and lunch. 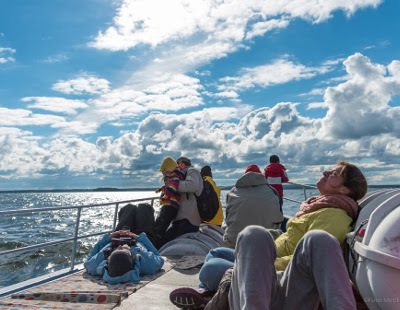 We provide the only seal watching tours available in North Estonia. Regular trips with transfers from Tallinn take place on Sundays from July to September.